Democracy, ideally, represents rule by the people, but in a world with powerful centralised nation states, antiquated voting systems, and social media quickly spreading misinformation about remote events, in practice, it’s far from that. Just look at the state of most so-called democracies. But democracy in its current incarnation can work reasonably well at the local level. Individuals feel their participation is valued and makes a difference, and are mostly informed about the issues. I lived in Observatory, a suburb of Cape Town, for much of my adult life, only moving out late last year to be closer to my son’s high school. Named after the location of the astronomical observatory built there in 1820, Observatory was at the time a distant outpost, remote from the bright lights of Cape Town. As the city grew, Observatory become an urban suburb, close to the city centre. During the apartheid era it remained one of the few ‘grey’ (mixed race) areas to survive the ravages of the Group Areas Act, which ripped up much of the fabric of the city and divided people by race. The turbulent end of apartheid saw the Heidelberg Massacre, when a number of APLA operatives opened fire in the packed Heidelberg tavern. A few years later, I was sitting in Diva’s in Lower Main Road as a bomb went off just down the road, courtesy of PAGAD (an anti-gangster and drug vigilante group), who presumably targeted Obs thanks to the then-constant cloud of marijuana smoke usually hanging above the suburb. And of course, Observatory has had its fair share of crime and grime. 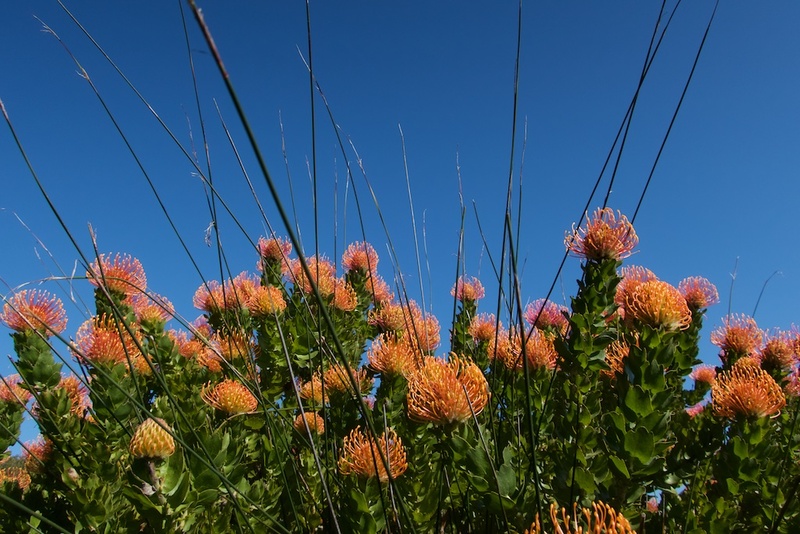 Like much of Cape Town, the area has been changing, more high-rises have been making their appearance, and all sorts of developments have been proposed, leading to scraps between developers and community groups. The Observatory Civic Association (a body open to all that reside in Obs, and which has been a thorn in the sides of many developers wanting to rush their plans through) recently held their AGM. Attendance was surprisingly high, and a number of new faces were elected onto the committee. But all was not as it seemed. A large block of new members signed up on the day, voting en masse for a number of candidates, including a new chairman, who turned out to be an architect with interests in a number of developments in the area. It turned out that many of the new members were ineligible, having given false phone numbers, fake addresses, and in one case, listing their residence as a vacant development owned by the new chairman. So, results of the AGM were annulled, and a new AGM called. Immediately, the management committee member sending the correspondence was sent a threatening legal letter. The usual bullying, lots of dubious legalese, followed by a threat that if she didn’t back down, the costs of any further actions would be for her account. This kind of intimidation is nothing new to citizens groups across the world. Individuals often don’t have the resources to stand up to the threats, and the intimidatory tactics work. In this case, the person stood down, handing over to an interim chair, who the next day received the same threatening letter. However, Observatory is not easily intimidated. Old members rushed to renew their memberships, new members rushed to sign up, and word of the attempted takeover spread quickly. 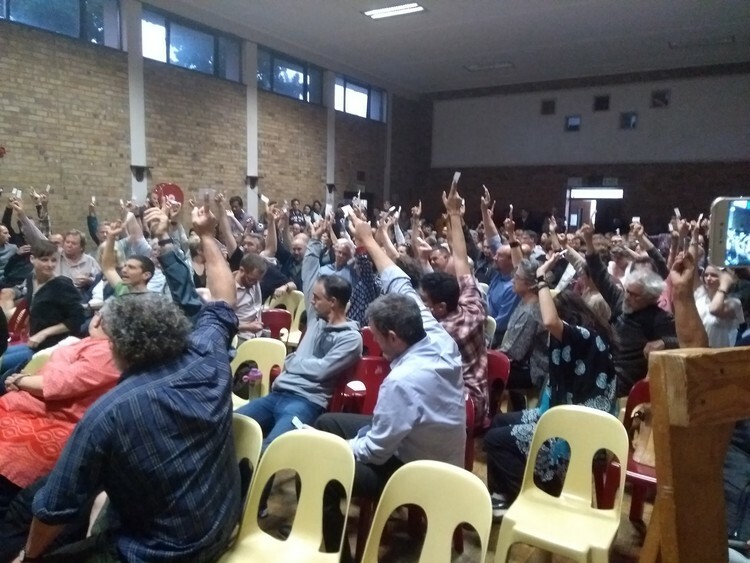 A special general meeting, held under the thread of an interdict, saw a record attendance, and the community voted to render the previous election null and void, that the previous OCA management committee continue to hold their posts until a new election is held, and that a new AGM be called within two months. It’s great to see the Observatory community energised and working together. Hopefully it won’t take another attempted takeover to see this happen again. The whole notion of “takeover” is very much part of the rage politics of the world today. The OCA had at best a feeble membership driven by a few community stalwarts, and one extremely intelligent and learned one who as alone wolf took on the process of ensuring organisations such as Rawsons, were not infringing the building regulations (Paragon and Eden). The reporting of this takeover has been rather biased and in my view only time will tell whether or not the war is won, rather than a single battle. I bet there are some valuable lessons here that need to be heard! For me, this prompts me to think about the archetypal underpinnings driving our world, and how it can be improved. Perhaps it boils down to the strengths and weaknesses of a volunteer organization. Which in turn boils down to incentives and intangible value. How do you translate that into the “product, service and cost” language that is trying to change the world. Perhaps it’s a topic for my own blog… but perhaps it CAN be explained simply: Super rich people want the stuff that the middle class/poor have, they think they’re smart and that those they are up against lack credibility, vision, education, whatever it may be… they’re driven by need, greed, whatever they perceive… the real pity is that they think that a consent is optional… and that it is just a matter of legal or intellectual trickery, failing to see how that is the very thing that is unravelling our society, and that they might think they’re doing something great, and that they will get away with it…. failing to realize how and how and why and when all their work will be undone… and that, if it’s not now, it will certainly be soon, later… or those who follow in their footsteps that will be left with the bill, a position that they themselves don’t want to be in… a feedback loop that has been broken, a link that is missing, conscience that has been eroded by a lack of self insight… the very thing that they can gain, that will heal them… if they take the time to do things the right way.